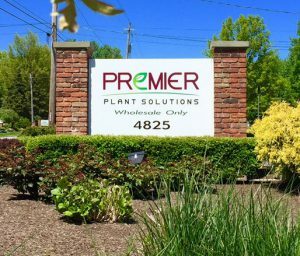 ​Premier Plant Solutions is the culmination of the merging of Quality Plant Productions, Inc. and Willoway Nurseries Wholesale Distribution Centers. Our Avon, Broadview Heights, and Hilliard locations are now one entity to better serve the landscape community. 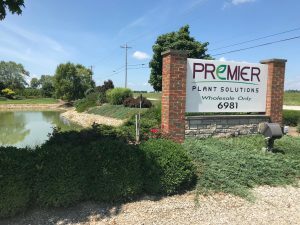 ​Premier Plant Solutions focuses on exploring ways to reduce the time and money you spend sourcing quality plant material. This will allow you to devote more time to do what you do best: install great landscapes! Some of the services we have improved include quicker loading times for pickups, expanding pre-pulled orders, increased delivery capacity, and the ability to source all of your plant needs with our new "Plant Locator" service. The same knowledgeable staff you have known over the years is excited about the season! ​​"My favorite service is pre-pulled orders. This service is just one of the amazing ways that Premier has helped me grow my business. Premier’s professional staff pulls our orders accurately and saves our crews time by getting the crews to the job site faster." ​​"We appreciate Premier always going the extra mile for our company. They came out to our job site and helped us identify plants and gave us advice on plants we could use in the future." "​Premier Plant Solutions always has the best selections of plant material. They are my sole supplier for my landscaping company because of their quick and friendly service, as well as superior plant options." ​For our customers' convenience, we have put together a handy landscaping reference guide containing information about native plants, plants that do well in clay soils, plants that can tolerate aerial salt and other urban conditions, plants well suited to butterfly gardens or as hedges, and some commonly used conversion charts. Premier Plant Solutions "Plant Locator Service" is another tool for your tool box that allows you to focus on what you do best: Install great landscapes. Let us worry about where the plants will come from! Premier Plant Solutions is proud to be a part of the Willoway Family! 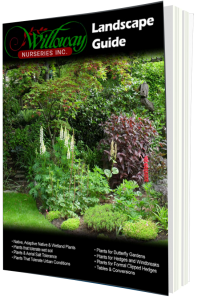 Willoway Nurseries, Inc. is one of the largest wholesale growers of quality nursery stock in the Midwest and ranks within the top 40 nationwide. 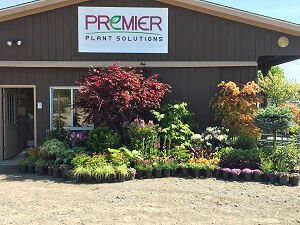 A large portion of Premier's inventory is stocked directly from Willoway Nurseries. Premier's business model gives our landscape customers access to Willoway's high quality plant material with or without ordering ahead and with no minimum to purchase. Premier also works directly with Willoway to ship higher volumes of plant material directly to the job site for all of your larger jobs.